A man wanted for five years by the FBI for killing his fiancée in New Jersey is under arrest in Prince George's County, Maryland. 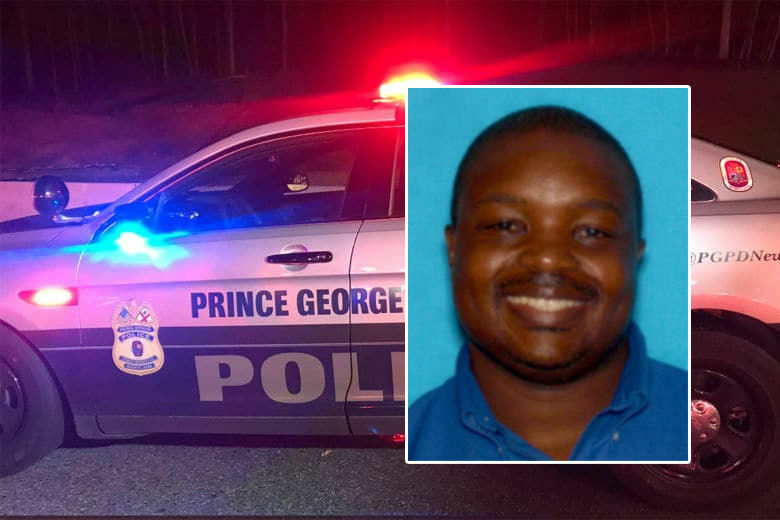 A man wanted for five years by the FBI for killing his fiancée in New Jersey is under arrest in Prince George’s County, Maryland. Lamont Stephenson, 43, was arrested Thursday in Prince George’s County, local and federal law enforcement sources confirmed to WTOP. Stephenson was wanted since 2014 on charges he murdered of his fiancée in New Jersey. He also allegedly killed her dog in the attack. According to Prince George’s County Police Chief Hank Stawinksi, Stephenson is believed to have been living in the D.C. area since fleeing New Jersey to avoid prosecution. Stawinski said three officers responded to a call from a security company about a suspicious person that had gone inside a rental truck that sat on private property. When the officers arrived, they found Stephenson inside the truck, who said he was trying to get out of the cold. The officers then asked his for his name and a place of residence. Stephenson gave his real name and told officers that he believed that he was wanted in connection to several crimes. Officers confirmed his identity with Homeland Security and took him into custody. Stephenson had a weapon on him when he was arrested, but officers said he was calm and cooperative during the arrest. Stephenson willingly offered up his real name and referenced the outstanding charges against him. “If he had given us a false name, we might not have had this result,” Stawinski said. The FBI had a $100,000 reward for information leading to his arrest. Stephenson has family members in Virginia, according to court documents related to the 2014 charges. In 2015, pictures of Stephenson were aired on a local news station in Virginia, and several people reported they believed they had seen him in the commonwealth. Additionally, multiple sources tell WTOP’s Megan Cloherty that Stephenson is also connected to the deadly stabbing of a woman in her D.C. apartment on Wednesday. An officer responding to the apartment building on D Street Southeast found 40-year-old Natina Kiah stabbed to death in her bedroom, according to the D.C. police report. A family member called to ask police to check on Kiah, the report said. It’s unclear if Stephenson and Kiah knew each other and how investigators came to identify him so quickly. Stawinski said that Prince George’s police and D.C. police will be coordinating their efforts as the cases against Stephenson move forward. A representative for the FBI said instances like this one are the reason the 10 Most Wanted list exists. The people featured on the list are chosen because the FBI believes public awareness and an increased profile will make them easier to find.